Happy Sunday, dear readers! I hope you're enjoying the weekend! 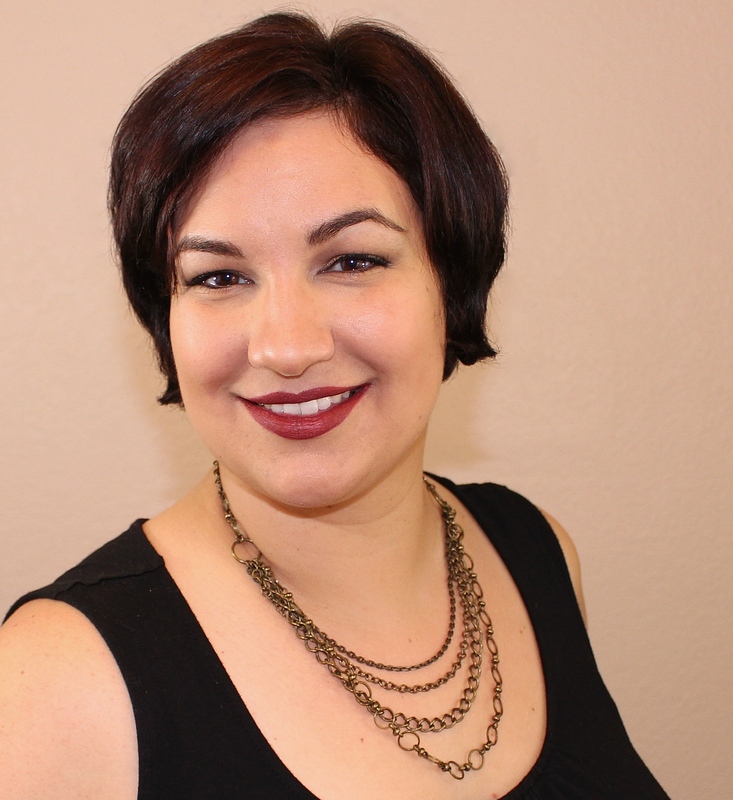 It's been a busy one around here, and I'm finally getting to sit down a few minutes to get this post written and shared. I recently shared the upcoming The Land Before Time Collection by LynB Designs, a reformulated collection launching this Friday, and for today's post, I have the other offerings releasing at the same time. First up is the Terrible Twosome Duo. 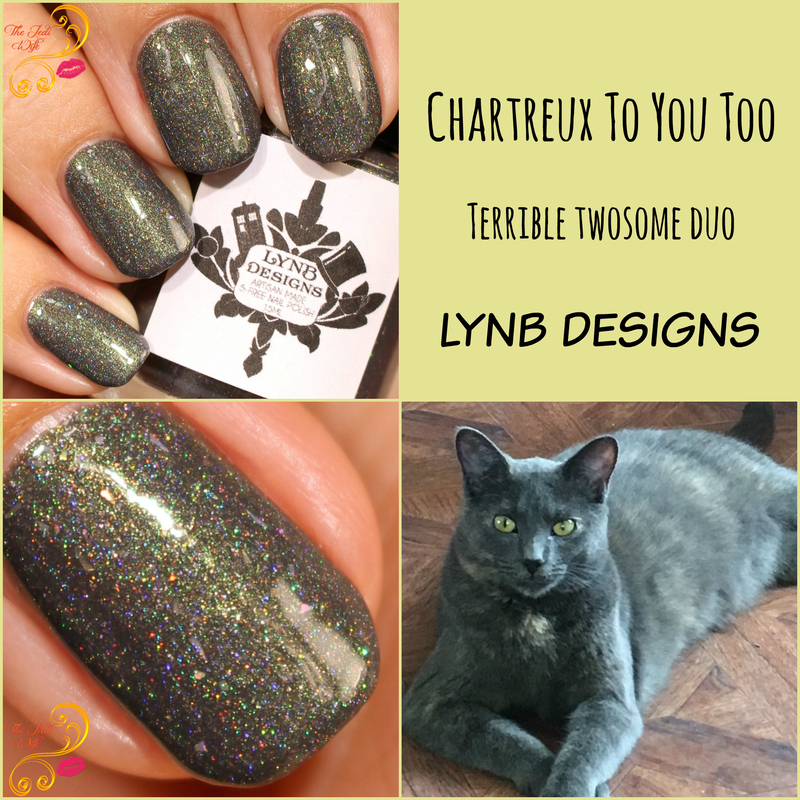 Jenna, the creative mastermind behind LynB Designs, has two cats that have inspired these shades. Half of the proceeds generated from the sale of these polishes will be donated to the Huron Humane Society. Let's check them out! This polish is beautiful! I really love that the green shimmer really flashes with just the slightest movement of my fingers! The holo micro shreds, on the other hand, and much more subtle but can definitely been seen upon closer inspection. This polish is easy to apply but do take care not to overwork the formula as it can get a little thick. Depending on how heavy handed you apply this beauty, you may need to use a third coat for opacity with easy application. Pale taupe and these fabulous iridescent glitters are truly a match made in heaven! The blue shimmer is present but very subtle, and it adds a beautiful dimension to this gorgeous polish. The formula was fantastic as this applied easily for me. While I only needed two coats, those that paint with a lighter hand or have longer nails will likely need to use three coats for opacity. I am having such a difficult time deciding my favorite between these two shades! Both are exquisite, and with half the proceeds going towards such a good cause, it's easy to pick up both and not feel guilty about it! These shades will retail for $10 each, or $20 for the duo. 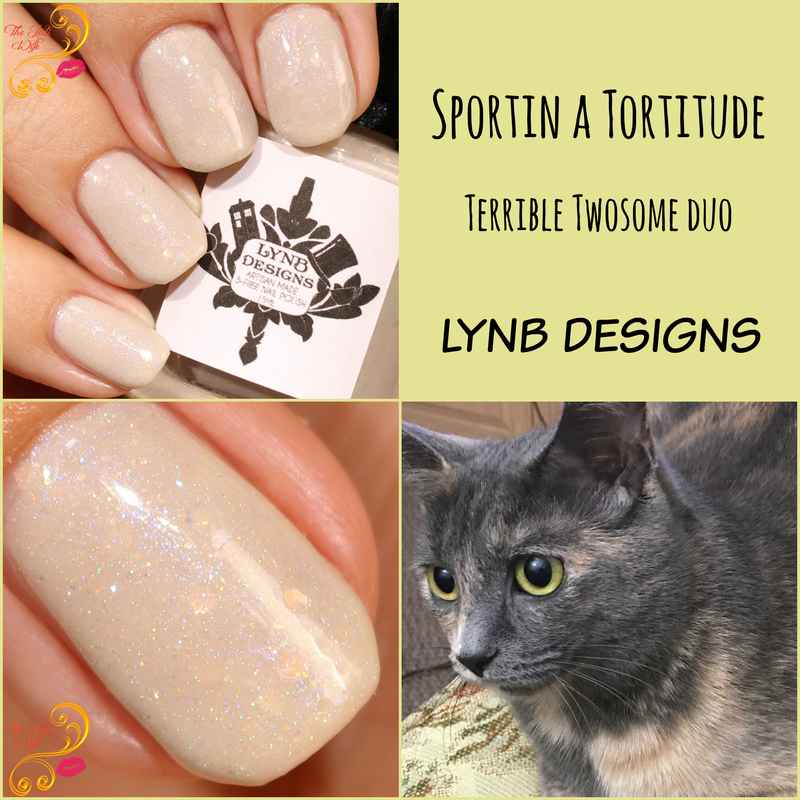 In addition to the Terrible Twosome Duo, LynB Designs is also releasing a throwback shade! Happy Wallabies was originally offered as a gift with purchase for Black Friday 2013; now it is back and will be available for purchase on its own! I'm generally not a big "pink" person, at least when it comes to medium and lighter versions of the colour, but Happy Wallabies has quickly stolen my heart. This shade is just so pretty! The glass flecks dance beautifully against the base! The formula is sublime and the polish applies flawlessly. What a fantastic shade to decorate your fingers this spring! 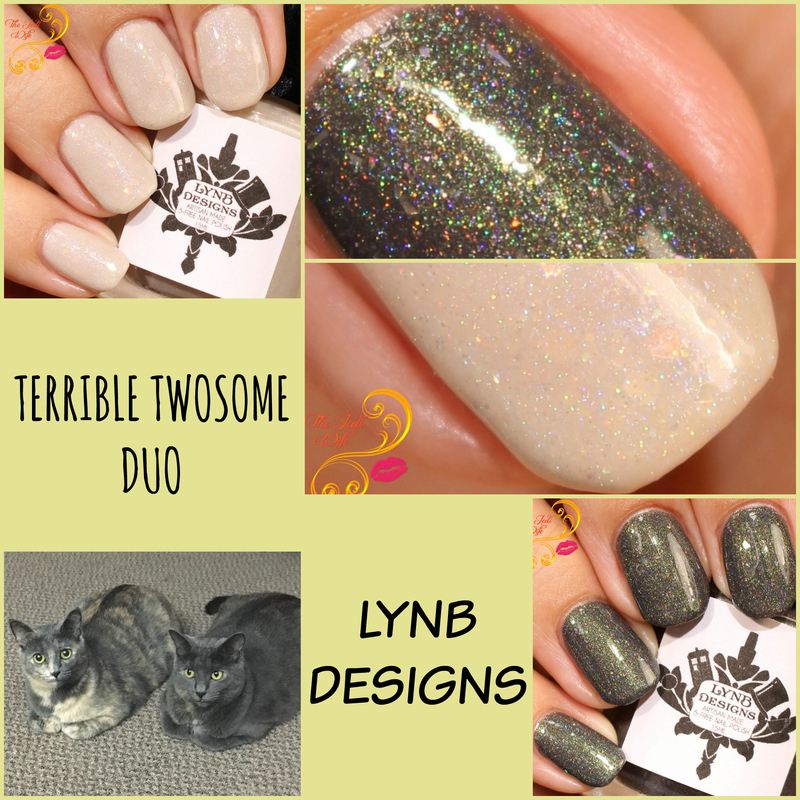 The Terrible Twosome Duo and Happy Wallabies are releasing on the LynB Designs shop Friday, April 7th at 7pm EST in addition to The Land Before Time Collection. What shades are you planning to pick up with the release? I'd love to hear from you! I love the green shimmer in the first one! And that it goes to a good cause! Happy Wallabies is the perfect pink! Sportin is beautiful! I'm such a sucker for a pretty neutral. Nice polishes. I like Tortitude. Nice that a portion is being donated. Beautiful swatches. I don't think I own anything like Chartreux to You Too in my collection!